Mark is a second generation native to Colorado and loves the area too much to want to leave. My name is Tom. I was born and raised in Colorado Springs during the 1940s and 1950s, which in many people's opinions was the "best of times." I am retired, but I write and paint in oils and acrylics. My art has won several awards including a couple of "Best of Show." I have previously published "Memoirs of a Bureau Curmudgeon" and my latest effort is available now is entitled "From Hell Raiser to Hall of Famer: Best of Times." Both works are autobiographical. The author was born in Colorado Spring and has lived here all her life. Jean Alfieri is the author of short story rhymers starring an often mischievous and always adorable Pug named Zuggy. Her love of poetry started at the age of five when she read Noisy Nora by Rosemary Wells. Jean is a native of Chicago, and has always had a special fondness for dogs, no matter where she’s lived: Illinois, Indiana, Texas, Wisconsin, or Arizona. Arleen is a former senior analyst with the Government Accountability Office where she wrote extensively on many topics ranging from satellite systems to endangered species. She has a science education and loves nature and reality. 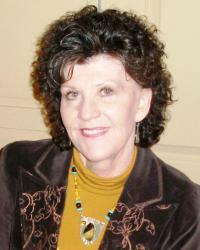 She is a life-long avid reader and began writing fiction in 2009. She has completed the six-book Darcy Farthing adventure series, which are contemporary mysteries with travel and thought-provoking topical subjects. Rev. 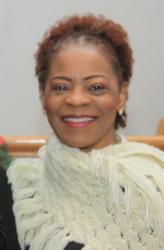 Allen is a member of the Emmanuel Missionary Baptist Church (EMBC) where she serves as one of the associate ministers to Rev. Cleveland A. Thompson in the capacity of Director of Operations. A 33-year law enforcement veteran (retired), Rev. 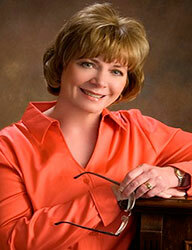 Allen lives in Colorado Springs with her husband Henry Allen, Jr., retired first sergeant from the United States Army. She and her husband have a blended family of eight adult children, 21 grandchildren, and three great-grandchildren. My wife and I have been counselors for many years. We lived in Texas for 17 years and returned to Colorado in 1997. I was instrumental in the formation of Rapha, an organization that placed mental health treatment programs in hospitals around the country. I also operated psychiatric/counseling clinics in Houston and San Antonio. 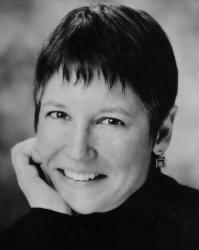 Laura Ander grew up in Palmer Lake, CO and participated in numerous summer reading programs through the Pikes Peak Library District during her adolescent years. As she grew older, she developed an interest in writing short stories and dreamed of one day becoming an author. Laura Ander currently resides in Colorado Springs and spends her days working on her series, The Alchemist Saga. John Wesley Anderson, El Paso County Sheriff 1995-2003 (retired) has lived in the Pikes Peak Region since 1956 and grew up in the shadow of Pikes Peak on a ranch in eastern El Paso County where he loved riding horses and collecting arrowheads. John enjoyed a thirty year law enforcement career, including twenty-two years with the Colorado Springs Police Department and two four year terms as Sheriff for El Paso County. After receiving degrees in Philosophy, Biology, and Psychology at Mercer University, Dr. Arangno received an MA at the University of Georgia, and her PhD, at the University of Colorado at Boulder. She served on the Medical Ethics Committee at Rose Medical Center, Denver, CO, and the St. Francis Ethics Committee in Colorado Springs, CO. She also served on the Chancellor's Advisory Committee at UCCS, and now serves as a member of the Student Retention Program. Born in Brooklyn, Long Island, New York, I have been a resident of Colorado Springs, Colorado since November 2011. I have written over 100 original stories (short stories, poems, indie screenplays, stage plays) and audio (radio) plays & skits (audio short stories) of several genres: Twilight Zone-type stories, science fiction, horror, comedy, satire, and drama. A wife and mother of two, Becca Hart felt the calling to be a writer at the tender age of fifteen. 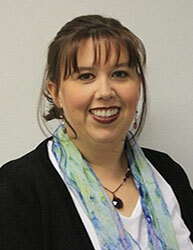 She earned her Associate of Arts degree in English from Pikes Peak Community College in 2013. 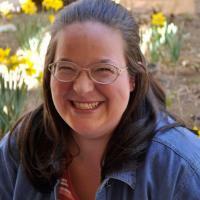 Though born and raised in a small town in northeast Ohio, Becca makes her home in southern Colorado in the shadow of the Rocky Mountains since 2007 and is a frequent visitor and patron of Pikes Peak Library. You can catch her pursuing the shelves, looking for little gems to take home. Born in Springfield, Massachusetts, Linsey Baldwin is the third child and second daughter in a military family. 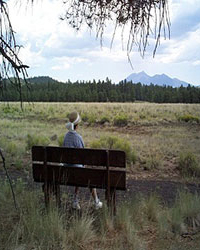 Linsey and her husband Tom traveled for many years, finally settling down in southern Colorado in 2000. Linsey and Tom have three grown children and one grandchild. In her debut novel, Mom's Summer, Linsey provides a fresh, heartwarming perspective to handling the illness and loss of a dear loved one. Prior to moving to Colorado Springs in 2002 I wrote and published articles relating to community, current issues, family and local, and historical articles in the Phoenix metro area. My work appeared in newspapers and magazines. Marty Mokler Banks is a children's author, travel writer, editor, tennis player, hockey fan and dog lover. Mother of two daughters. Docent Colorado Springs Fine Arts Center for 10 years. 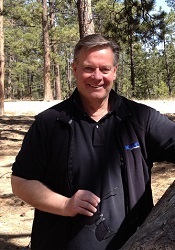 Docent at Fountain Creek Nature Center and Bear Creek Nature Center from 1991 to the present. 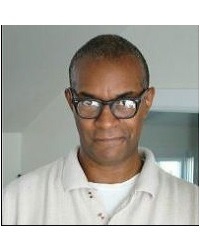 Author of five prose books and a good deal of poetry. Ashley Hodges Bazer is the author of the epic sci-fi series, The Crown's Call, which explores the onset and aftermath of a religious holocaust in a space opera setting. She also dabbles in young adult fantasy, bringing chess pieces to life in Checkmate and mixing up fairy tales with fun twists in Once Upon a Heist. Living in the Colorado mountains serves as Elizabeth's inspiration for writing poetry and other inspirational works. She has been writing, speaking, singing, and inspiring people since the age of 8. She is now raising her grandson due to drug addiction and her daughter, and speaks out as often as possible encouraging all to "Not even try it one time!". Her heart's desire is to impact young and old alike to be their very best. I attended schools in Colorado Springs from 3rd grade through 12th, graduating from Harrison High School in 1972. I have written Colorado Women: A History, the first full length chronicle of the lives, roles, and contributions on women in Colorado, including those in the Pikes Peak Region. Donnell Ann Bell is the author of two Amazon bestsellers, Deadly Recall and The Past Came Hunting, both of which were nominated for the prestigious Golden Heart from Romance Writers of America®. Deadly Recall is also a 2014 EPICON nominee for best thriller/suspense. Her fourth book from Bell Bridge Books was released in 2014. I came to Colorado in 1973 because of the beauty of the land and the promise of the future.